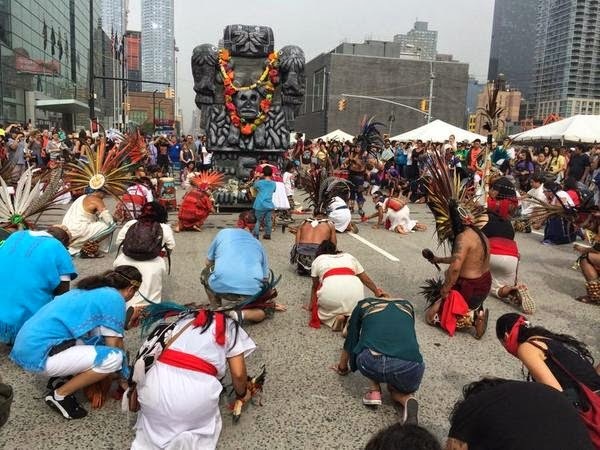 To all the world...: And you thought idol worship was dead? More than 400,000 people turned out for the People's Climate March in New York City on Sunday, just days before many of the world's leaders are expected to debate environmental action at the United Nations climate summit. I suppose I shouldn't be surprised since things like climate change hysteria are what people turn to when they have lost their reason and are ensnared by the latest cultural fad. Robert Kennedy Jr. was at the People's Climate March and even went so far as to suggest that those who oppose the notion of man-made global warming should be imprisoned. (Did you ever notice how quickly and easily many liberals become fascists when you disagree with them?) Thank God for the First Amendment! CO2 is Not a Climate Control Knob. I could go on, but you get the idea. The disturbing thing is that people like Robert Kennedy Jr. want to put people in jail for refusing to bow to their false god of global warming.